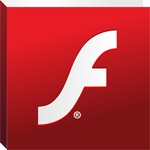 Latest Flash plugin version must be installed and enabled to play the video. Please click below to download and install. Another solution is to use Google Chrome, Microsoft Edge, Safari or Opera - they do not need Flash plugin.